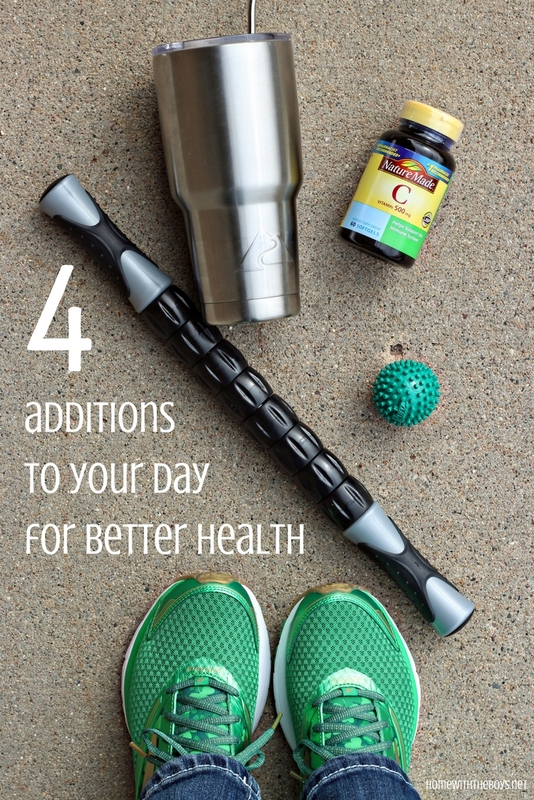 4 Additions to Your Day for Better Health! My life has completely changed since I started running five years ago. Before running, I only thought about my health when I was sick or when I wanted to lose weight. Now, taking care of my body is one of my top priorities. If I don’t keep myself healthy, all of the other important things in my life suffer – my family, my friendships, my ministry. Staying healthy is not a selfish thing for me. It is vital to me being the best wife, mom, friend, business owner, and more. Most of us know that maintaining a healthy body includes eating right and exercising regularly. These are two very important components, but those two things alone aren’t enough. There are many other simple additions to your day that will maximize the health and performance of your body so you can keep up with your busy life! How many of you are drinking 64 ounces of water a day? It might not be enough. You should actually be drinking half your weight (in pounds) and even more if you’s sweating during the day! Proper hydration will keep your body systems functioning at their best level! Sore muscles don’t just need rest – they need to be stretched and massaged to prevent injury. Just as you make time to exercise, plan for recovery for your body as well. Since I added regular yoga, foam-rolling, and massage with a foot ball and massage stick, I’ve noticed that my legs are better able to bounce back after a hard workout. Stretching is also very relaxing, which is always good for my overall mood and health! Never underestimate the power of a good night’s sleep. Sleep is your body’s chance to heal and recharge. YOU NEED SLEEP. I don’t know what your schedule is like – you may work late into the night or have to get up at the crack of dawn to take a child to a practice. Look at your life and find time for sleep. Set an alarm to tell you to go to bed, if needed! It is vital to your overall health to support, not sabotage, your immune system. Eating the right foods will help with this, as will vitamins and supplements. Choosing a vitamin like Nature Made® Immune Health: Vitamin C Softgels helps me stay at my best and keep up with my active lifestyle. 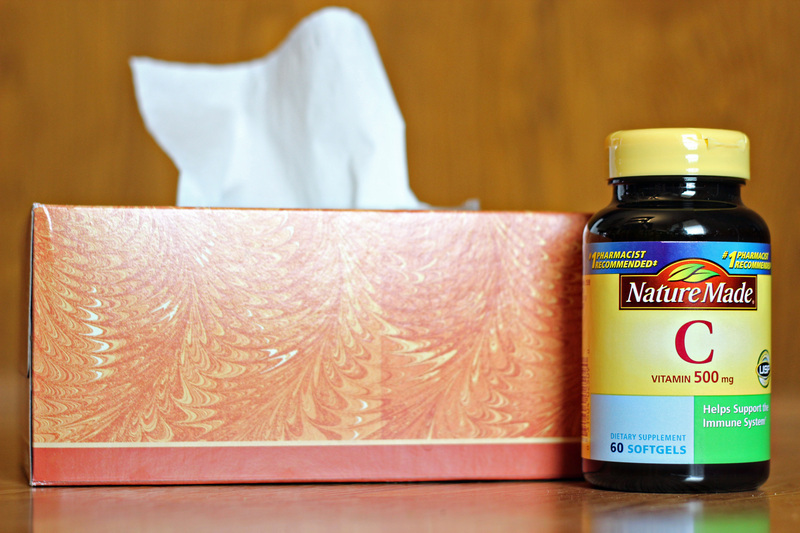 I trust Nature Made® because of their commitment to quality as shown by being the #1 Pharmacist Recommended brand! You can find their vitamins and supplements at your local HyVee, like me, or other trusted retailers. Nature Made® wants to help you stay motivated in making your health a priority, so they are partnering with Men’s and Women’s Health on Facebook to give you and your friends so many fun prizes! Visit the Nature Made® Facebook page through April 9th to find all the rules and enter giveaways for prizes including Blue Apron, Lululemon and Sephora gift cards, as well as FitBits and a one-year membership to Nature Box! To top it all off, Nature Made® is giving away a SPA VACATION! This spa vacation grand prize includes a 4-day/3-night trip for two to the Red Mountain Resort in Ivans, UT – doesn’t that sound heavenly?! Through April 9th, you may enter for a chance to win the Grand Prize by visiting their sweepstakes page and clicking where indicated in order to complete and submit the registration form for one entry into the Grand Prize drawing! Do it now before you forget! What will you add to your day to improve your health?